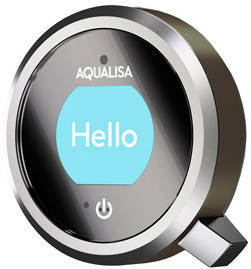 Aqualisa Q > Q Smart 22P With Ceiling Fed Slide Rail Kit & Pewter Acc (Gravity). 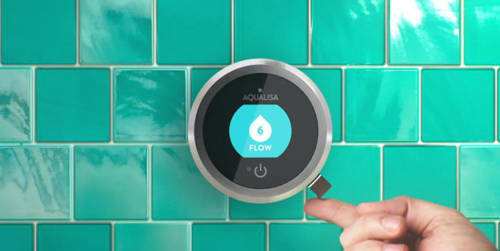 Aqualisa Q Smart digital shower pack 22P for gravity pumped systems (thermostatic). Complete kit with mixer unit, controller, ceiling fed adjustable slide rail kit and metallic pewter accent pack. Q Smart collection (shower pack 22P). The next generation smart mixer shower that's set to revolutionise the way you shower. Greets you with a friendly ‘Hello’ displayed on its screen before it powers on. Ceiling fed adjustable slide rail (no need to disturb tiling). 3 spray modes with easy click spray selector. 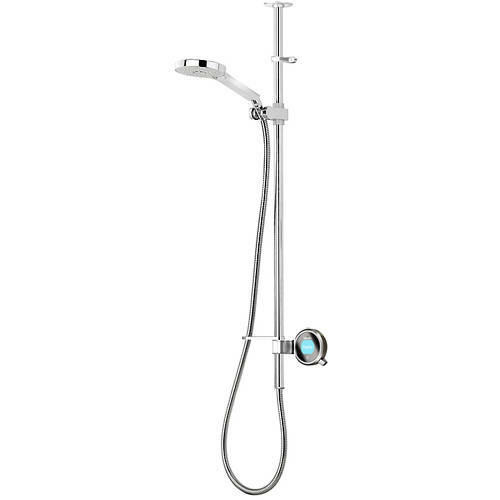 Vita shower handset with easy clean nozzle and accent ring (130mm). Chrome plated shower hose (1.5 meters). Customised: Pewter accent pack included (metallic). Specifically designed to work in a wet environment. Crafted with high quality materials, it has been designed with individuality and style in mind. 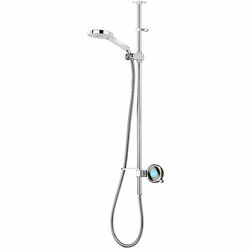 Thermostatic digital shower for added safety. 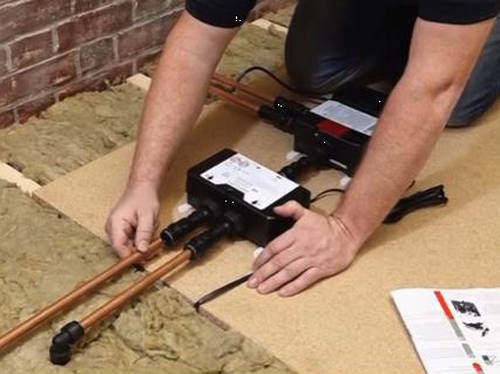 Concealed shower valve for a less cluttered bathroom. High performance and precision temperature control. Proximity sensor: It activates the power on mode when standing in front of it. If sensor is inactive, it will decrease flow to save water. On/off touch switch: Touch to start and stop. Water will be set at the standard 38°C temperature. 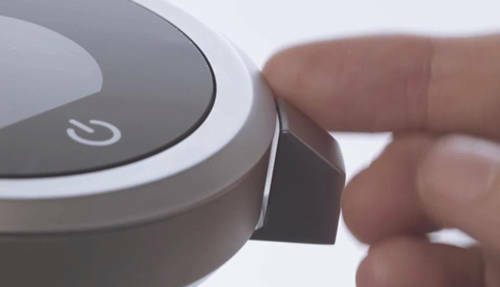 Temperature bezel: Hold device bezel and turn clockwise to increase temperature. 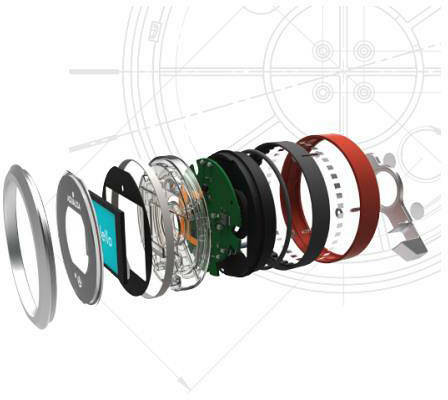 Hold device bezel and turn anti-clockwise to decrease temperature. Water temperature will be displayed on screen as bezel is turned. Q Lever: Move up and down to increase or decrease water flow. Press in to navigate menu and access pre-set and personalised shower experiences by selecting unique combinations of temperature, flow, outlet and time. MyQ: Choose from a range of six pre-set experiences that we have created for you to suit your mood and lifestyle, like Sport, ‘Eco’ or Comfort, as well as the option to create and save your own shower experiences so that you can repeat that perfect shower every time. Display: Colour digital screen appears when using on/off touch switch or proximity sensor. Screen will change colour to denote different options in the menu. Wireless remote control also available (sold separately). Eco: Water saving without compromising your showering experience (optional ‘eco’ mode, activated during installation, to help you save water). A slim data cable connects the processor to the control. 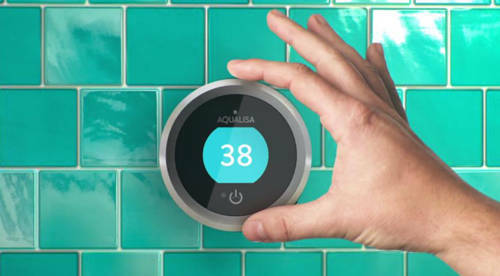 5 Year guarantee: Aqualisa guarantee their Q Smart digital showers for 5 years. 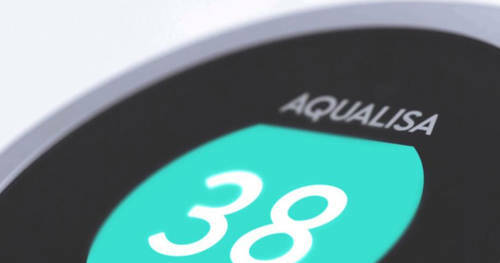 The Aqualisa Q Edition is the new generation in smart digital showers that take personalisation and smart showering to the next level. Save water as you shower, create and save unique shower experiences and customise the look with metallic and coloured accents to choose from. Get Q Smart with these stunning future bathroom showers.